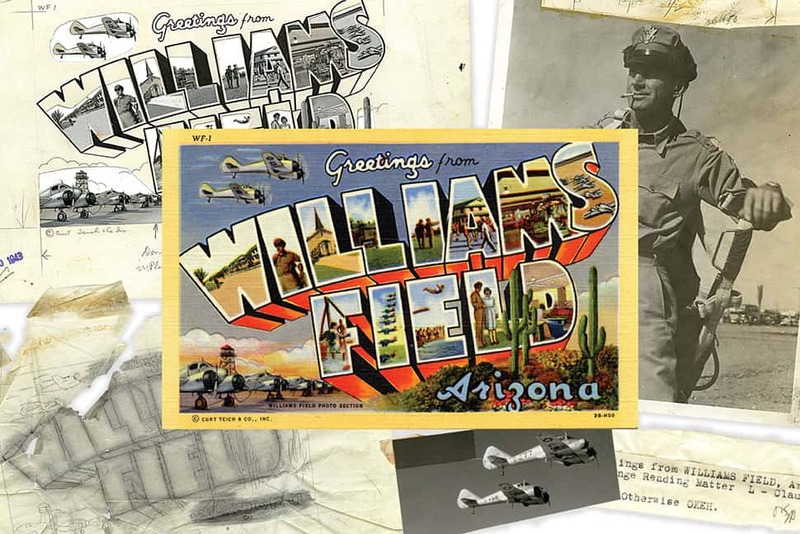 The mock-up for the "Greetings from Williams Field, Arizona" postcard used source materials from photographs, including the man in the first "I" and the planes that fly across the top. The text was hand-lettered. The final product was printed in 1943. When Katherine Hamilton-Smith walked into the farmhouse in a distant suburb of Chicago in 1982, all it held was one chair and one telephone. She managed to turn it into a triage scene. For the first five days of her first job out of college, as an intern for the Lake County Discovery Museum in Wauconda, Illinois, Hamilton-Smith oversaw the transfer and preservation of about 2.5 million postcards and related materials. Each item held a different degree of historical significance, none of them were cataloged, and all were lucky to not be buried in a landfill. Nearly 35 years later, the job is complete: The Curt Teich Postcard Archives has moved again, from Lake County to the Newberry Library, an independent research library in downtown Chicago that plans to preserve and publicize them for decades to come. 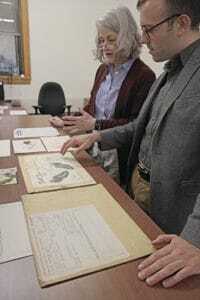 Martha Briggs (head of the Newberry’s modern manuscripts division) and Alex Teller (director of communications) examine one of the job folders the company created when making its postcards. This collection of postcards—and the production notes of the staff that created them—are all that remain of Curt Teich and Company, the printing firm that made “Greetings from [wherever]” a vacation motto of Americana. After Teich’s business folded in 1978, a chain of events that mixed wisdom, luck, and desperation brought the collection to the museum. 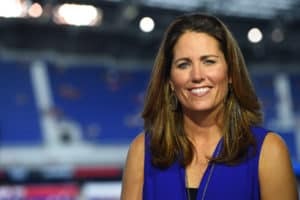 Hamilton-Smith spent the first years of her career inside that farmhouse, sorting photographs, memos, and illustrations, then filing them into a searchable database. What arrived in 1982 in truckloads of disheveled “archival triage,” as she puts it, left in December 2016 for the Newberry as a cataloged collection. Library staffers spent weeks blueprinting how they would disperse America’s largest postcard compilation into their stacks. Those 2.5 million pieces of postal history were opened to researchers on April 3. When you look at Curt Teich’s most famous innovation (the “Greetings from” postcard), you are looking at an amalgamation of advertising, congressional action, journalism, and business methodology. Schreyer and Hamilton-Smith both say the archives offer a wealth of scholarly value, much of it found in the preparations that preceded the final products. In 1898 Congress authorized the postcard as we know it today. From then until 1978, Curt Teich printed all kinds of advertising materials at its Chicago plant: maps, brochures, railroad instructions, and more. For its postcards, the company became known for taking a photograph of a tourist destination (or some place that wanted to encourage tourism), then used illustrators to convert the image into a bucolic countryside, jazzy urban center, beckoning beach, or whatever appearance the client intended. Founder Curt Teich died in 1974, and four years later, his company printed its last products. Hamilton-Smith says that, in the process of cleaning out the plant, his son Curt Jr. took the route of simplicity and started chucking everything. But at the opposite end of the facility, his younger brother Ralph believed that their father’s work held historical meaning, and he started stashing everything in bags. For four years, the heaps of unsold postcards and related materials sought a home. They found one in 1982, when a six-year-old museum in suburban Lake County—flush with empty space and looking for exhibits, Hamilton-Smith says—offered its farmhouse. The Curt Teich Postcard Archives is a visual record of the 20th century of the United States and how it changed. It helped that the collection came with a $485,000 grant from the still-operating Teich Foundation, which paid Hamilton-Smith’s salary and the expense of cataloging everything Ralph Teich salvaged. 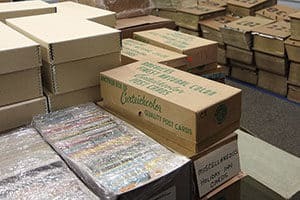 The receiving room in Chicago’s Newberry Library is the first stop for the boxes holding the Curt Teich Postcard Archives. The postcards arrived at the museum farmhouse in five truckloads, one each day. Every morning of Hamilton-Smith’s first week, another crash cart brought more survivors to her triage scene. Hamilton-Smith would come to marvel at what Ralph Teich rescued. Curt Teich’s staff documented every step of the process—photo slides of the scenes each postcard depicted, give-and-take memos between artists and marketers about what the image should become, and the hand-painted rendering that would adorn the postcard—into “job envelopes” to keep the progress of the work together. Schreyer says the collection’s 2.5 million items include about 400,000 different final images. Newberry Director of Communications Alex Teller says many of the envelopes told rich stories about the America of the time. In nearly 35 years at the farmhouse, the exhibit grew by tens of thousands. Postcard enthusiasts around the world heard about the museum outside Chicago with the huge collection and used it as a dignified repository for their own archives. The Lake County Discovery Museum took in prized postcard works by Czech artist Alphonse Mucha and London printer Raphael Tuck. But the museum was changing its location and tightening its focus, so Hamilton-Smith (who still works for Lake County as director of public affairs and development for the forest preserves) says the combined archives could not make the trip. Schreyer says her group immediately believed the postcards could augment the Newberry’s humanities collection—if it could find the space. 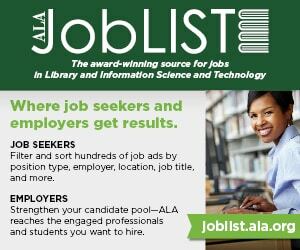 The Newberry is a privately funded, noncirculating library; anyone over age 14 can study its contents within one of two reading rooms. When library officials agreed to take custody of the Curt Teich Postcard Archives, Schreyer says her first priority was to find reliable transportation. The movers had to “understand that some things are fragile and need to be carefully wrapped,” she says. The transfer included some 100 filing cabinets each holding Teich’s job envelopes, while separate sets of cabinets arrived containing custom-made, shoebox-shaped archival boxes for the postcards. Schreyer says most of the postcards came in clear, plastic protective sleeves and were housed in boxes made of pH-neutral archival board. The filing cabinets are metal (wood gives off gas that can endanger old paper items). The cabinets were spread around the Newberry’s multiple floors of stacks, she says, and pushed against the perimeters of the walkways. The 130-year-old library does not have many open spaces left, but wanted the Teich collection badly enough to stretch it out along its interior halls. “We were able to use a lot of great space,” Schreyer says. And they plan to reuse the catalog the Lake County staff created as the basis for integrating the collection into their electronic systems. 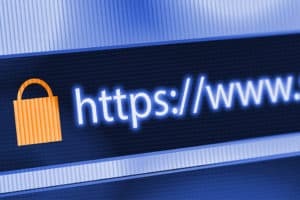 Schreyer says little will change there—just a few more entries, a few new keywords, and a Newberry credit line at the bottom. 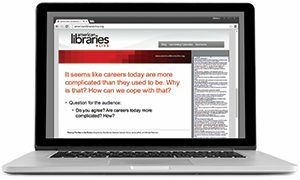 The library will change the museum’s database from a .csv file to, as Schreyer puts it, a “jumbo, jumbo Excel spreadsheet,” and will enhance the metadata for each of the records so that the postcards can be searched more easily across collections. All of this will happen because, much like it did when it arrived at Hamilton-Smith’s triage scene, the collection is coming to the Newberry with a $500,000 endowment. The Teich Foundation gave the second half-million-dollar installment to the Lake County Discovery Museum a few years ago as a final gift before dissolving; the museum held it in reserve as an incentive to entice a new steward when the right opportunity arose. The farmhouse where Hamilton-Smith’s career began, and where the Teich postcards resided for nearly 35 years, is empty again. When Hamilton-Smith thinks about the good fortune that brought truckloads of filing cabinets to and through her museum, she smiles. RONNIE WACHTER is a writer and photographer for the Chicago Tribune.